AHAVA Dermud Intensive Foot Cream this soothing intensive-care cream is ideal for dry, sensitive foot skin. 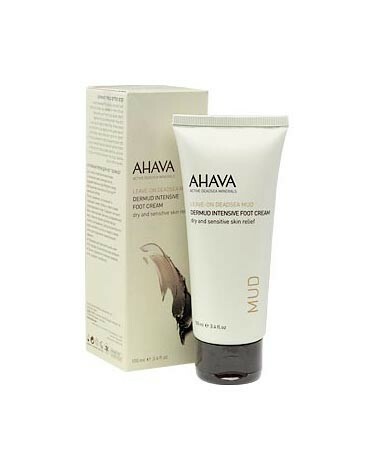 It is a moisturizing Dead Sea mud blend that effectively treats itchiness, redness and scaling to leave feet soft and supple for hours. Size: 100 ml / 3.4 fl. oz.